Welcome to Megakat City, a place to discuss the action-packed animated series SWAT Kats: The Radical Squadron. 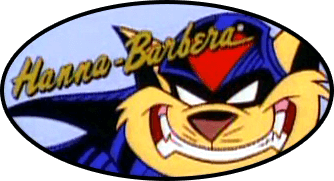 Since its debut in 1993 on TBS, SWAT Kats has had a "cult following." Whether making new fans or being rediscovered by old fans, the show continues to be a hit even after 20 years. This forum, meant for fans old and new, gives everyone the opportunity to gather together and talk about the series, share art and fiction, or just get to know one another and have fun. Megakat City strives to be the central hub fans come to for the latest news on the series’ possible return and fandom happenings. A place where verified information can be found, and the difference between speculation and fact can be determined. The SWAT Kats fandom has seen its share of ups and downs in participation, yet it remains after all this time, a testament to the show’s status as one of the best cartoons of the 90s. So, will you become a citizen of Megakat City?